Sonic 4, 4th platform: iPhone? 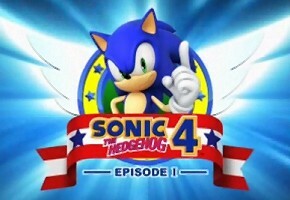 Barely even 45 minutes ago we brought you the story of Sonic the Hedgehog 4‘s initial unveiling. Listed for Playstation Network, Xbox Live Arcade, and Wiiware, there was a mysterious and as-of-yet unannounced 4th platform. Given that Gamespot.com lists “Project Needlemouse” for Wiiware, XBLA, PSN and PC, we assumed that meant the 4th platform would be a PC Digital Distribution service like Steam. If you don’t remember, Takashi Iizuka is an old school Sonic Team member, dating back to the halcyon Sega Genesis days. When one of the key level/game designers (Hirokazu Yasuhara) left Sonic Team after Sonic & Knuckles was completed, Takashi Iizuka stepped up and took his place. Iizuka then went on to be a key component in games like NiGHTS: In to Dreams and Burning Rangers. He is also the one responsible for Sonic Adventure, Sonic Adventure 2, Sonic Heroes, Shadow the Hedgehog and NiGHTS: Journey of Dreams. After Shadow and NiGHTS, Iizuka seemed to lay low, acting only as a consultant on games like Sonic Rivals. Could this podcast with Takashi Iizuka mean he’s back in the saddle? We’ll keep you up to date as more news becomes available. Edit: Sega has taken down the images in question. Our local mirrors will remain up — for now.